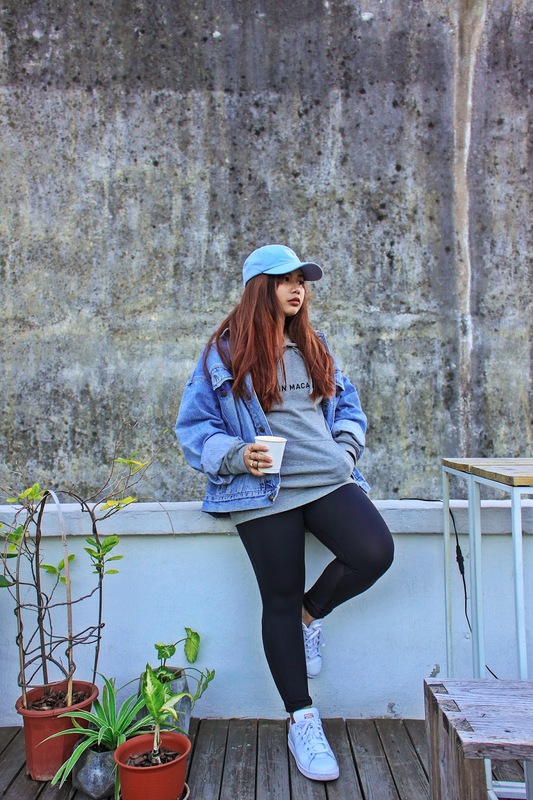 Because I need my dose of coffee every single day! 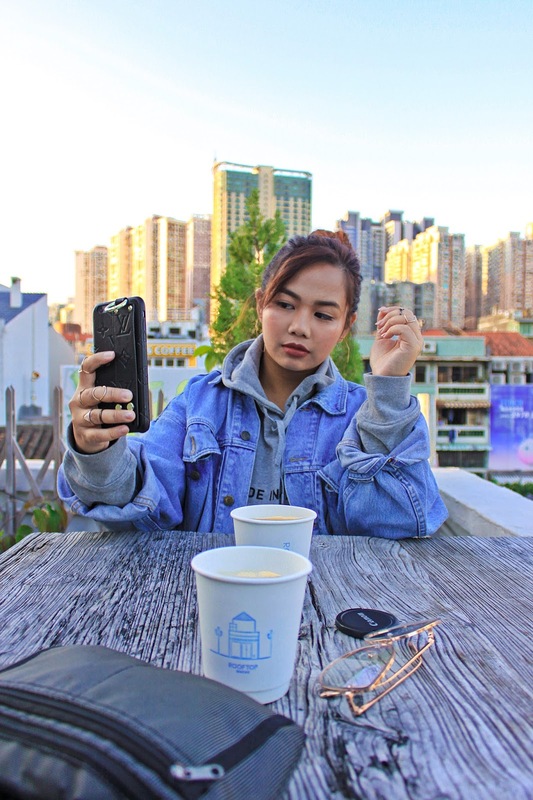 For this Coffee Moments review, I'll be featuring one of the most hipster cafes found around Taipa Village: Rooftop Macau. 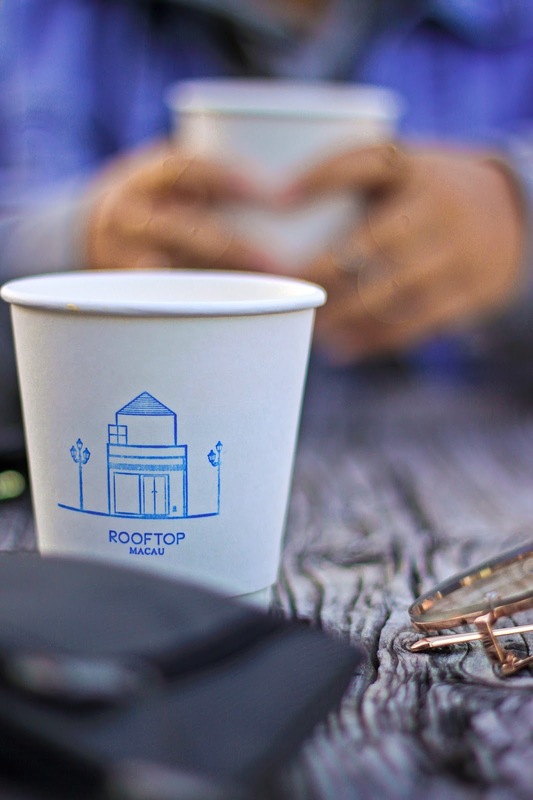 It's a packed little coffee shop with a beautiful sitting area on their rooftop, hence the shop's name. 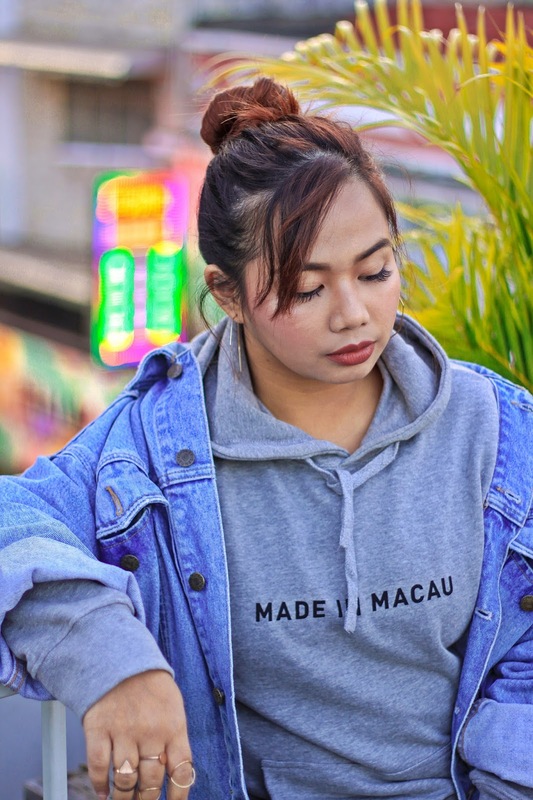 Also, in collaboration with them, I've purchased a few cool items from Loving Macau because I'm a firm presenter of my home. 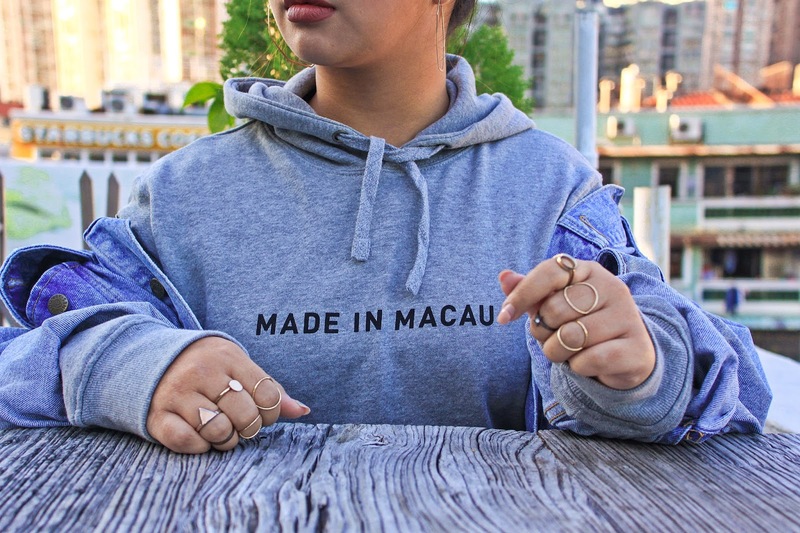 Me and Adrian got one of their 1st designs -- their "Made In Macau" hoodies, matching in grey and black. 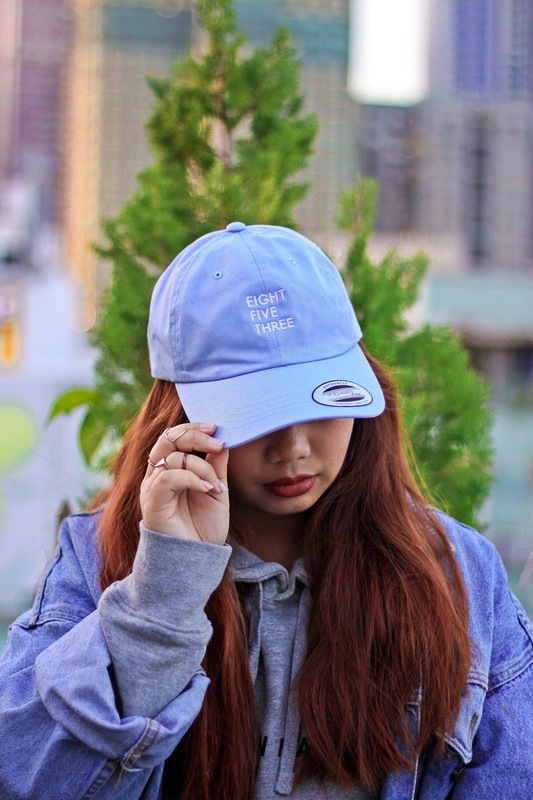 In addition, I also decided to get a sky blue cap (because why not?) 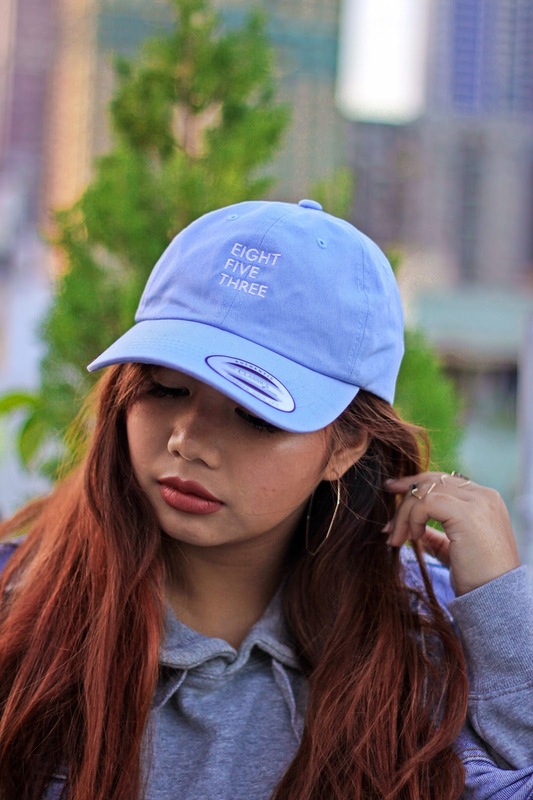 with the "EIGHT FIVE THREE" design. 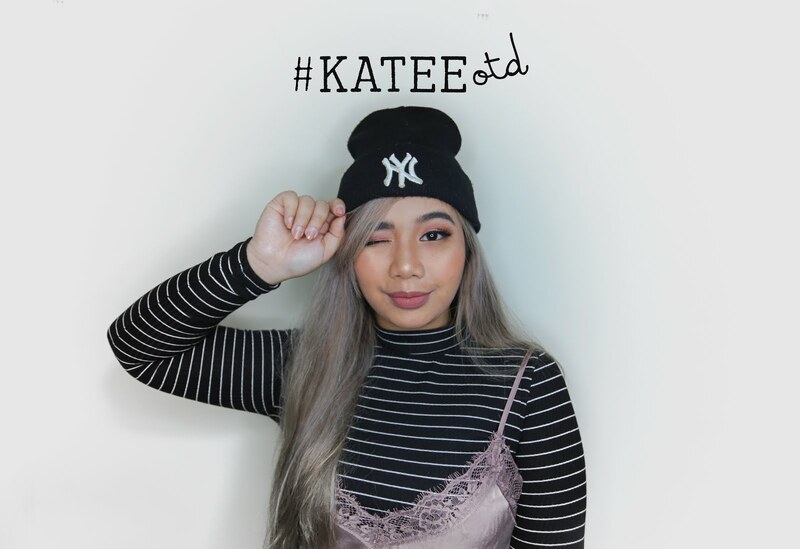 They sell more awesome products such as pins, tees, and totes. Click here to go shopping! Pickups available through Rooftop Macau. Going back to my coffee review, as per usual, I would be reviewing the cafe based on their menu, location, and design. A few favorites would also be mentioned so keep reading! 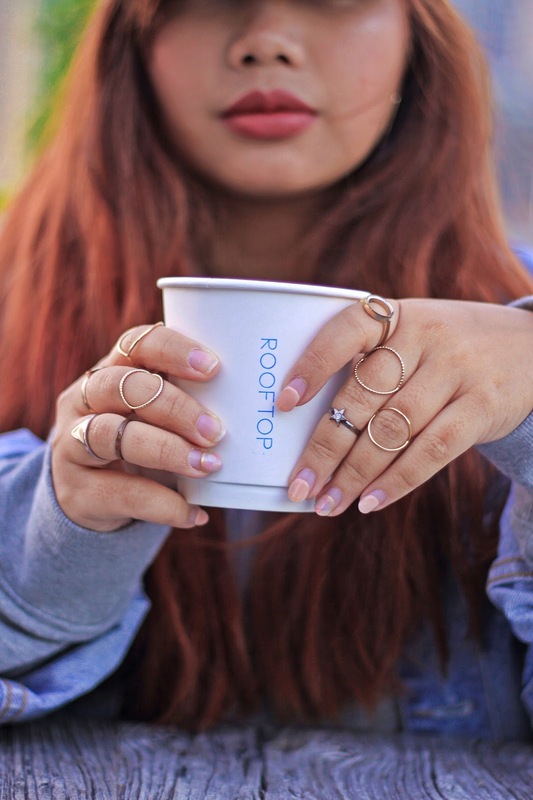 Just like Wonderwall, Rooftop's menu isn't as grand and mainly focuses on your coffee regulars. They don't provide any food items since they focus more on coffee and household items. We ordered a latte and flat white as we mostly do, and I could say that the coffee is actually pretty good. Their roast is darker yet smoother than most I've tasted in Macau. 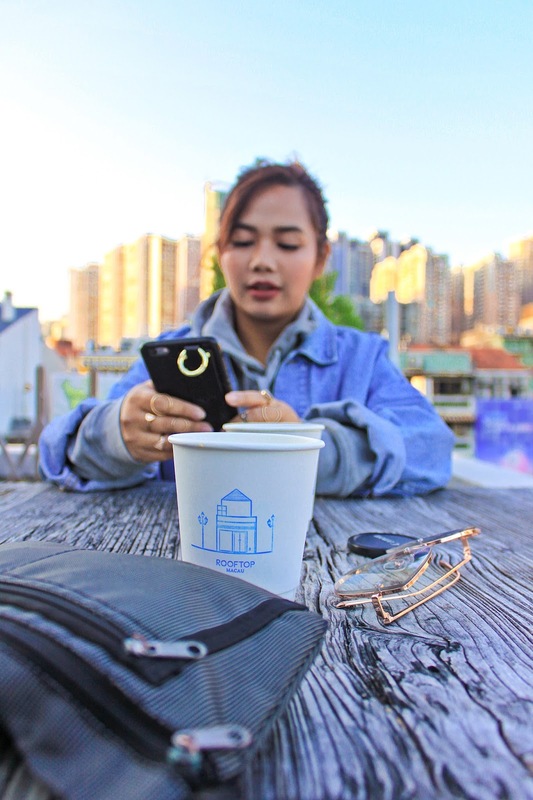 They don't have a menu online but you could go shop for their other amazing household items and accessories on their site: ROOFTOP MACAU | Products. 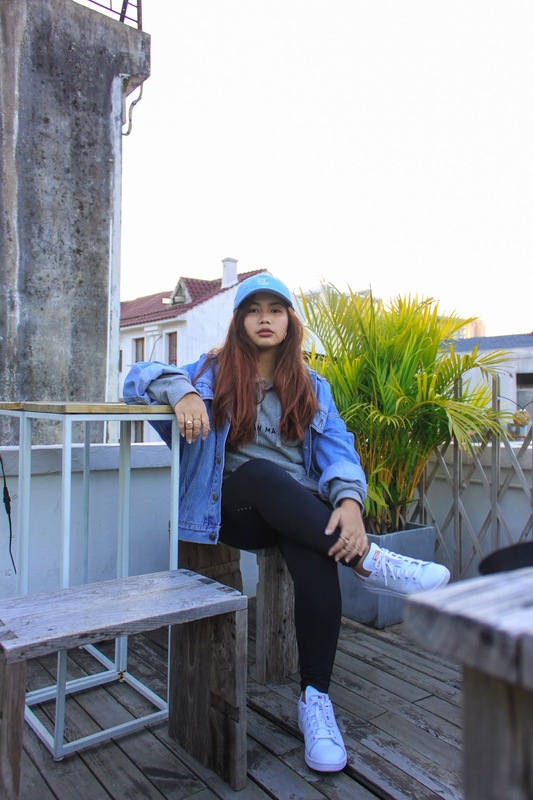 They are seriously one of the hidden gems scattered around Old Taipa Village. Not very easy to spot on but if you do, you've hit jackpot! The view from their rooftop overlooks the center of the Old Taipa Village. The area itself is quiet, perfect for staying long hours, having a little me-time. Just across is a Starbucks, so just incase you want something less commercial, know that Rooftop is just around the corner! From the outside, all you'll see is their neon blue sign on a plain white wall, beside a small glass door. Very minimalist in my opinion, it's simplicity is very eye catching. The inside though looks aesthetically amazing! I seriously want an apartment that would look just like Rooftop. On the bottom floor is where the sleek bar is, their products displayed on wooden shelves, an indoor sitting area in front of the window, along with a few good looking plants. My favorite though? It's gotta be there rooftop. With wooden (tree-looking) chairs and tables, and fairy lights that makes it look so magical when turned on. You can't resist not taking any photos, I swear! 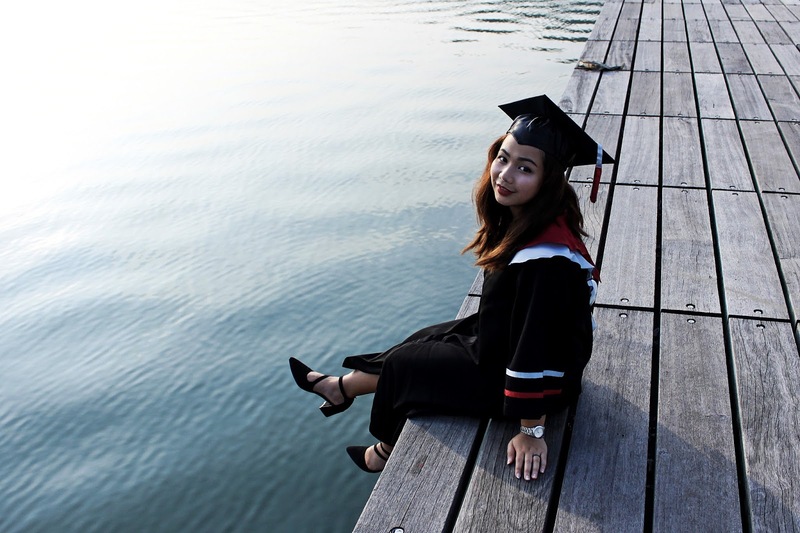 Would I go back to Rooftop Macau? I definitely would. It's a great hangout space yet also perfect for alone time. 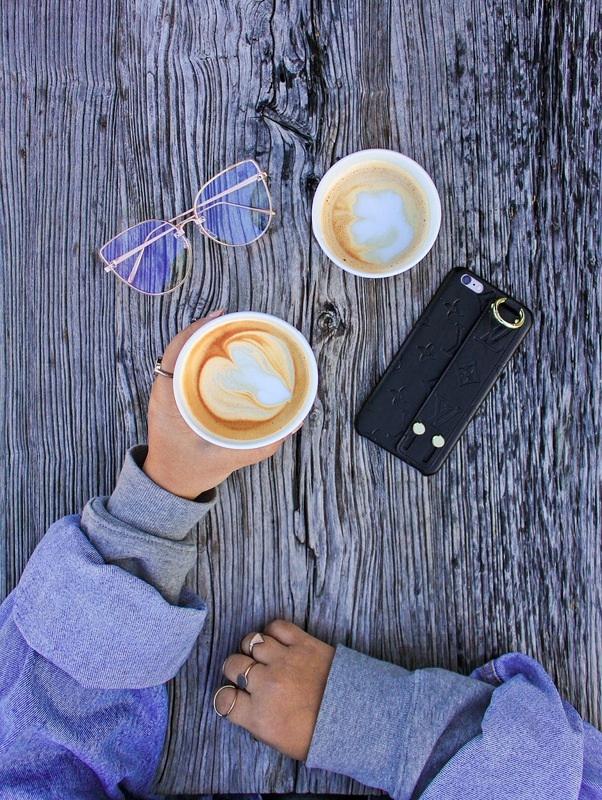 Everything seems so chill that you'd want to order another cup of coffee just to stay. 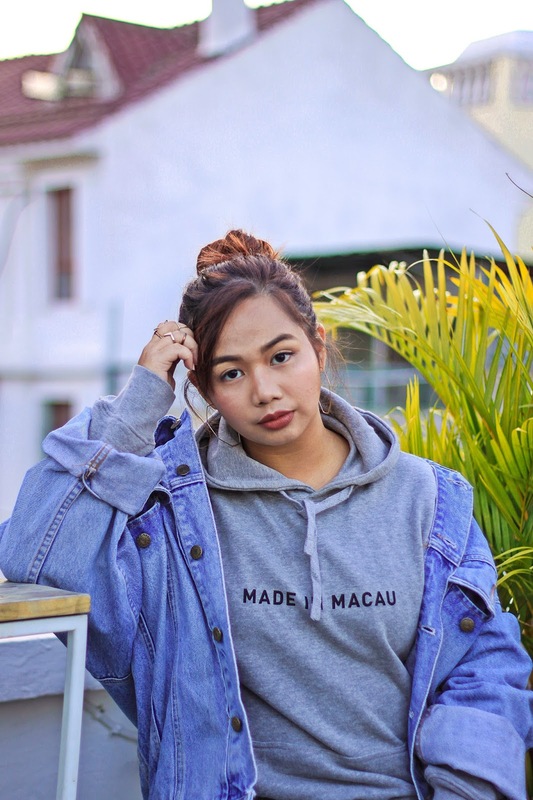 Don't forget to check out their merch along with Loving Macau! Whoot! 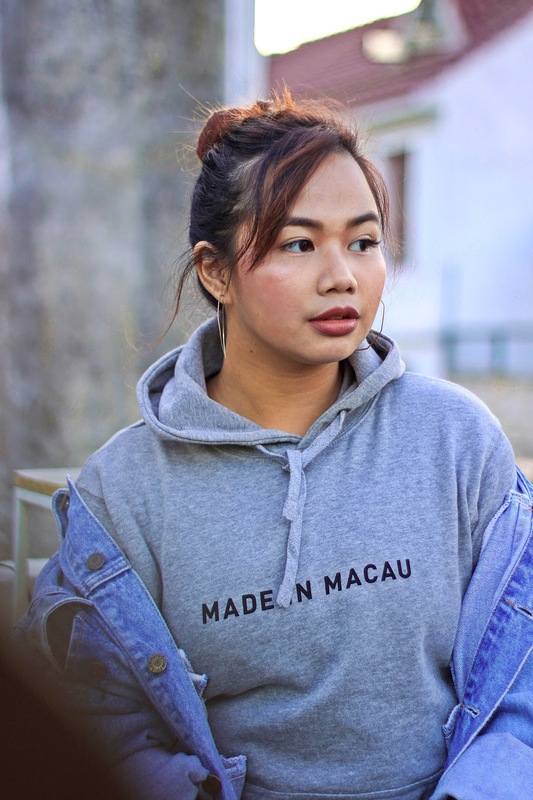 Repping Macau like a boss! I need to go to that cafe. 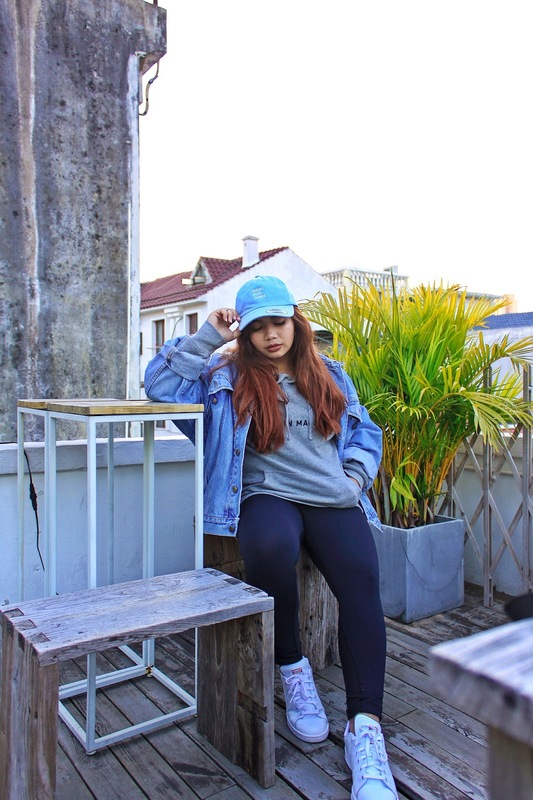 I love your outfits here. 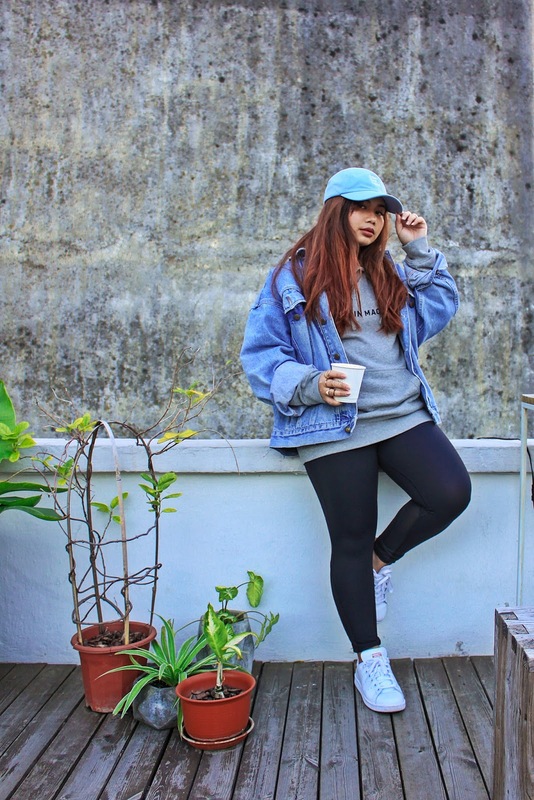 Comfy, casual chic is what I normally strive for everyday and you've perfected it! I also have the same hexagon hoops, haha.